Ya I know most of us when we consider our teeth and connect it with our belly we think of food and all the wonderful life giving properties that come with our ability to enjoy a nice meal through our mouths. Though I recognize this as primal and my first choice of thoughts, there is another relationship between our teeth and our belly that centers on our health. The diligence we take to care for our mouths goes a long way. When we take the time to care for our teeth we are in turn caring for other parts of our body, our organs, blood and the process by which bacteria and other related pathogens get processed through our body. An important finding that I had with my dentist and recent extraction was the link between mercury fillings and the health of our gut. I have been blessed to have good teeth. I don’t say from a place of arrogance or inflated pride about myself, this has in fact been confirmed by the dentist I have seen through my lifetime. I never had braces and I have only had my wisdom teeth removed. What I have had to do periodically is get fillings or sealants placed on my teeth. I have one tooth or I should say had one tooth that had a silver filling. Its been there for years. Upon doing research on the effects of mercury on our body, I decided to have my filling removed. 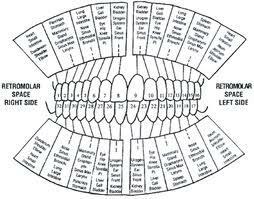 Come to find out that the filling is on tooth #13, which according to the tooth meridian chart (see it here ) is the tooth linked to your left side intestine. Ironically, this is also the area of my intestine that is affected by colitis. Research on mercury fillings shows that it is a toxin that can leach into the blood stream by way of the vapors that are released in your mouth through chewing. Here is a youtube video from the IAOMT which gives a good demonstration of its effects (see it here). Though the government has not gone so far as to recognize the toxic effects from mercury fillings on the body, at this point you’d be hard press to find a dentist that does not have an alternative material such as composite resin for fillings should you need one. 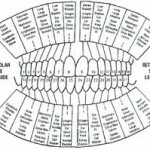 So, do a little research, check out your teeth with your dentist and see what you find. A good nonprofit organization that specializes in this area is called DAMS (find here). You might discover another road to healing is found right between your gums! And of course keep up the good dental hygiene I am sure you are all experts at already. Share what you discover about the health of your teeth and your body.